Have you ever been so excited that you actually jumped for joy? Linda Barbour, Executive Director of Start Adventures in Reading Initiative (STAIR), did just that upon learning that Anne Arundel County Public Schools Superintendent George Arlotto was making second-grade reading comprehension a priority. 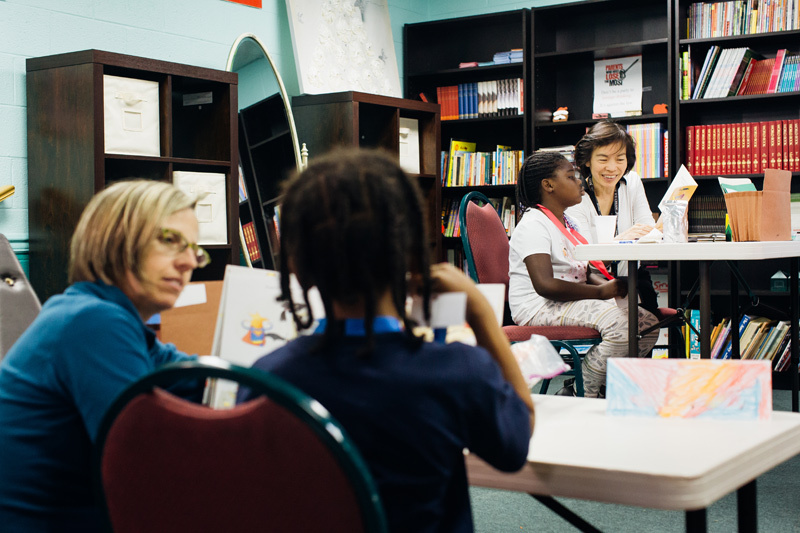 STAIR, a 501(c)(3) nonprofit organization, has been tutoring and mentoring at-risk youth in the greater Annapolis area since it launched at the Stanton Center in January 2006, with 12 tutors and nine students. Today, the program boasts 150 tutors who instruct 80 pupils at nine sites in eight of the county’s public schools. 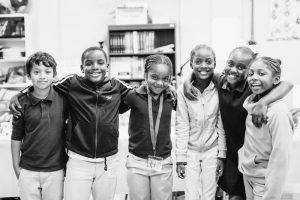 Each institution involved with the program saw marked gains in reading proficiency at or above grade levels for the 2015–2016 school year. The program serves a diverse student population: 46% African American, 41% Hispanic, 12% Caucasian, and 1% Native American. For decades, policy and advisory groups have backed such testimonials with research. The National Education Association affirms that practice, repetition, and persistence are crucial to beginning readers. A three-year longitudinal study of reading development, headed by psychiatrist, neurophysiologist, and developmental cognitive neuroscientist Fumiko Hoeft at the University of California, San Francisco, determined that there is an indisputable link between the amount of white matter—the brain’s language recognition highway—in the temporoparietal region and the ability to read written material. Apparently, this narrows down the critical production time for white matter to the time between kindergarten and third grade. Doctors at Cincinnati Children’s Hospital affirmed, through functional magnetic response imaging scans, that children who were read to had heightened activity in that aforementioned left side of the brain. 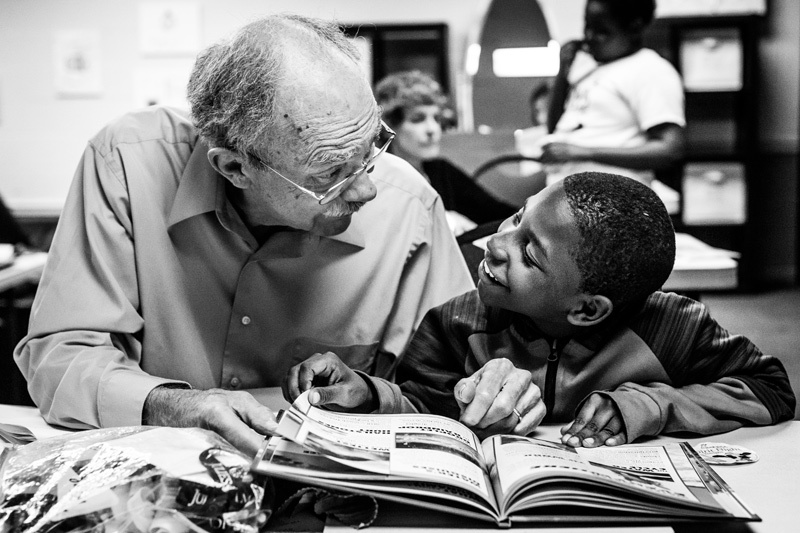 These discoveries have helped adults better understand how to approach language and reading with students, but there are still challenges. 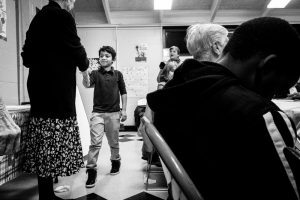 Germantown Elementary School Principal Karen K. Soneira acknowledges that one of the biggest challenges with younger students is “applying letter-sound knowledge to decode unknown words.” This obstacle can seem more insurmountable for kids whose parents speak little to no English or are themselves illiterate. STAIR helps such students from falling by the wayside. Enthusiastic smiles and active engagement are evident upon entering any of the program’s locales. 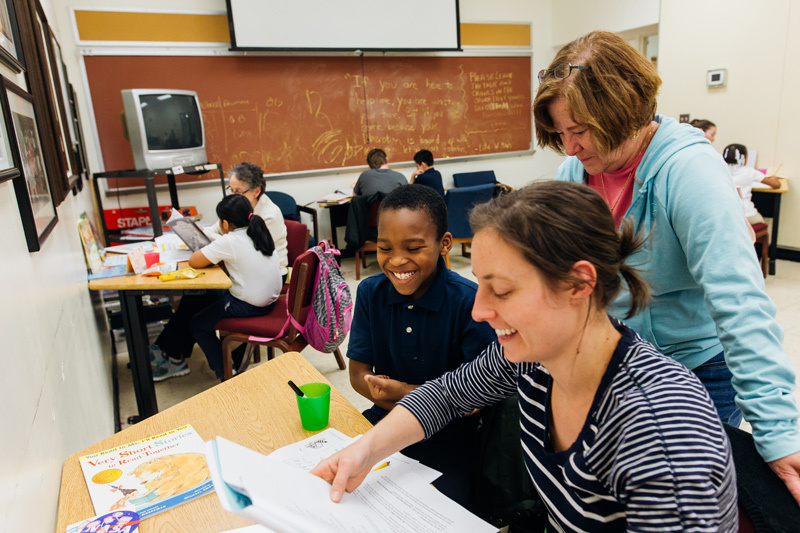 Each weekly two hour-long tutoring session commences with a snack and one-on-one interactive reading. 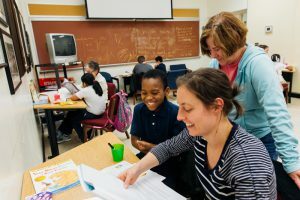 In the best-case scenario, the remaining 45 to 50 minutes are sectioned off, as appropriate, into four study areas: tackling sight words, word study, vocabulary, and fluency development. If there’s time remaining, students play word-related games as a group. Reading outside the classroom is stressed, and the children are given books to take home. STAIR’s curriculum consists of 12 units. Students, on average, complete three to four units each mentoring term (October to May). Notwithstanding, the graduation requirements are yearlong attendance and commitment to the tasks. What happens when the schools close in June? Educators and parents have dubbed that three-month period—where learning leaks and lacks—“summer brain drain.” To combat it, last year STAIR established a weeklong Summer Reader’s Theater, and is preparing to do it again this July with a play a day, grouping children by grade and task. Much of the planning is still underway, but it is likely to be well attended. Error: Error validating access token: Session has expired on Saturday, 09-Mar-19 15:57:50 PST. The current time is Tuesday, 23-Apr-19 09:27:44 PDT.